For the last eight weeks, the number one selling product at the world's largest retailer has been the Kindle Fire—and Black Friday sales kept it there. Although Amazon didn't release sales figures for its Kindle line of products, it did reveal today in a statement that it sold four times as many Kindle devices this year as last. "And last year was a great year," added Amazon Kindle Vice President Dave Limp. Apparently, pricing is making the gadgets very attractive buys as gifts. "[W]e're seeing a lot of customers buying multiple Kindles—one for themselves and others as gifts," Limp observed. "[W]e expect this trend to continue on Cyber Monday and through the holiday shopping season," he added. A basic Kindle e-reader sells for $79; the touchscreen version, $99; touchscreen with access to Amazon's free 3G network, $149; and the Fire tablet, $199. 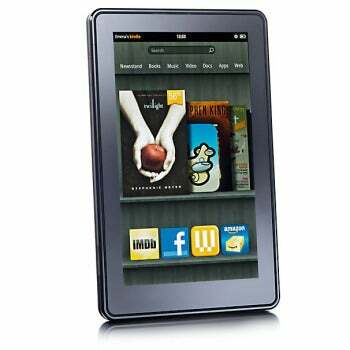 In addition to being sold online at Amazon, Kindles are sold at more than 16,000 retail outlets throughout the country. There, too, the Fire and other Kindle models have proven to be hot sellers. "This was a great Black Friday for Target and for Kindle Fire, which was the bestselling tablet in our stores on Black Friday," said Target Vice President for Merchandising Nik Nayar. "[W]e're sure Kindle Fire will continue to be at the top of wish lists this holiday season," he added. Electronics retailer Best Buy had a similar experience with the Kindle line. "We knew Kindle Fire and the new e-ink Kindles would be highly desirable gifts this holiday season," said Senior Vice President of Computing, Tablets and E-Readers Wendy Fritz. "If this Black Friday was any indication, they are only getting hotter as we get into the shopping season." Although only a few weeks old, there are indications that Kindle Fire is creating competitive pressure on the leader in the tablet market, Apple's iPad. For example, in the results of a survey released last week by Park Associates, the tablets appear to be in a dead heat in the consumer preferences department. 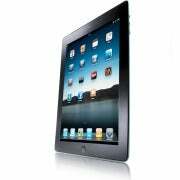 Among households with broadband access with intentions to purchase a consumer electronics device this holiday season, 41 percent chose the iPad 2, while 51 percent intend to buy Kindle Fire. There still seems to be some confusion in the market about the Fire's identity as a tablet, however, because when likely slate buyers were asked by the surveyors what tablet they'd be buying for the holidays, 62 percent said iPad, while only 38 percent said Fire. Nevertheless, it appears that Kindle Fire has had an impact on Apple's marketing for the iPad. For instance, a currently running commercial known as "Love," shows people doing creative things with their iPads. That emphasizes what some consider a significant distinction between the devices: that the iPad is for both content creation and consumption, while Kindle Fire is primarily for content consumption.